Stephen after his hair shave. Barnsley College tutor Stephen Rogers has shaved off his hair to raise money for Macmillan Cancer Support. 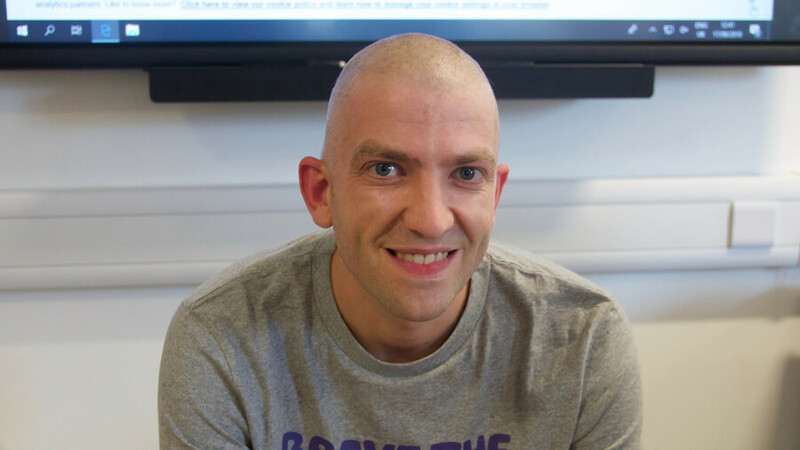 Stephen, a tutor in the Business, Warehousing and Logistics department, decided to get involved in the ‘Brave the Shave’ campaign after a relative lost their battle with cancer. The fundraising event was held earlier this month and raised over £475 for the charity which provides practical, emotional and genuinely personal support to those affected by cancer. 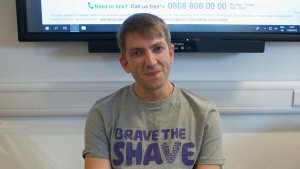 Stephen said: “I decided to get involved in Macmillan’s Brave the Shave campaign as I wanted to show people that you can raise money for a charity without it being a time-consuming activity. Donate now at Macmillan Cancer Support.